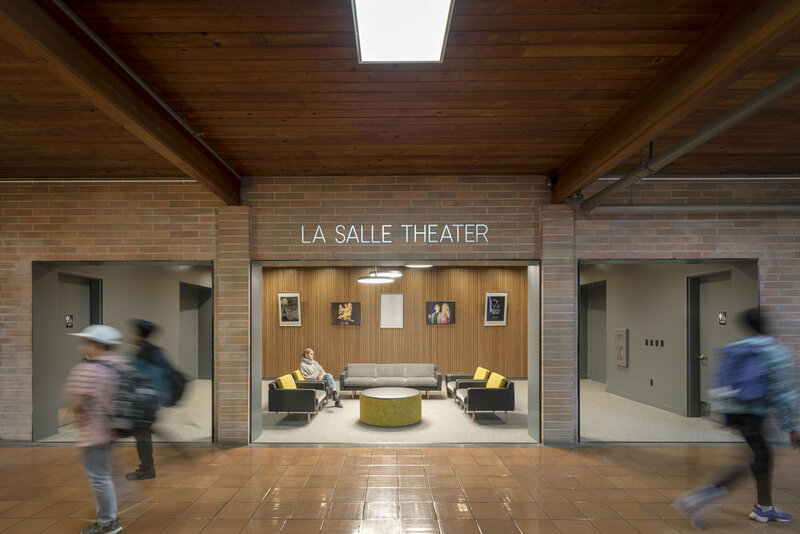 La Salle Catholic Preparatory High School’s theater received a partial renovation including the entry vestibule, sound room, and restrooms. Studio Petretti worked to transform a tight, closed-off entry into a welcoming, open lobby connected to the main corridor. This connection creates an informal breakout space for students to use for studying and social gathering. It also provides direct visibility to the display wall that showcases student work and upcoming performances. The associated restrooms were remodeled and upgraded to current accessibility standards.